The first annual Dodge Fest will be taking place at Bill Gray's Regional Iceplex this August! This adult event will feature two playing divisions (competitive and recreational), and will be played on a dry ice rink. Although a competitive division is being offered, this event is designed around having fun, in a positive and social atmosphere. Dodge Fest will be run as a charitable event, with the charitable partner being announced shortly. A portion of the proceeds will be donated to Camp Good Days. The event will start no earlier than 10:30am and will conclude by 5:00pm. The coveted Dodge Fest trophy will be awarded to the top team of both divisions, as well as one of a kind championship shirts. This is a family friendly event that is set in a fun atmosphere, so gather your friends, form a team, and sign up for a fun end to the summer of 2017! All games take place on the feature rink at Bill Gray's Regional Iceplex (we take the ice out before, so games take place on a concrete floor). Each game consists of 3 matches that are timed at 5 minutes each (running clock). The team that wins that best of 3 series is considered the winning team of that game. If a team knocks out all competitors in a match, that team is considered the winning team immediately (running clock is no longer factor for match). At the conclusion of the 5 minute running match time, the team with the higher number of players on the floor is considered the winning team. If game ends due to time running out and both teams have same number of people on court, it is a sudden death tiebreaker with just the people left on the court. During overtime, there is no re-entry allowed under any circumstances (once a player is out, they are out for the remainder of over time). Each team is allotted two 10 second time outs per game. The referee will immediately announce the time out and will use the game clock to determine the time for play to resume. Each match will start with all balls on the center line, with both teams players touching the end boards. The match will start once the referee blows the whistle. Players then race to the center line to obtain balls for match play. All obtained balls must be brought back to each teams respective end boards before they can be thrown at their opponent. Bench players are the first ones in game if teammate catches ball. No stalling. At the referee’s discretion, the team that is considered stalling loses balls. Can block balls with other balls, but must retain control of ball they are blocking with. If the ball that is used to block a thrown ball is dropped, the blocking player is considered out. Any player that touches the Out of Bounds (OB) lines or center lines, with any part of their body, is considered out. Bench players that catch a ball must drop the ball in front of them, and they are not permitted to throw that ball to a teammate. Teams are encouraged to design fun and elaborate uniforms for this event, which could be anything from matching t-shirts, to full blown costumes (the wackier the better). A 'best uniform' award will be given at the event, so go nuts! 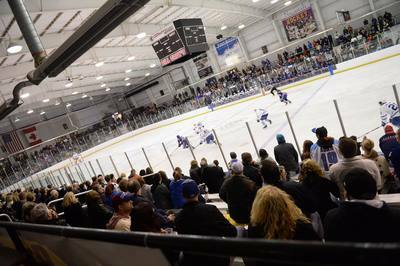 Bill Gray's Regional Iceplex is a 170,000 square foot multi-sport facility that is located on the Monroe Community College campus. 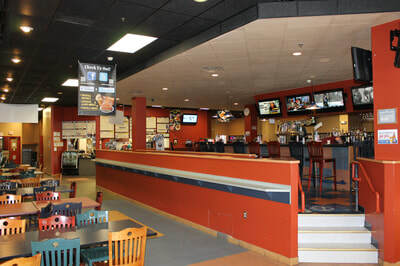 It is home to four NHL sized ice rinks (200' x 85'), a full service Bill Gray's Tap Room, and many other amazing things. 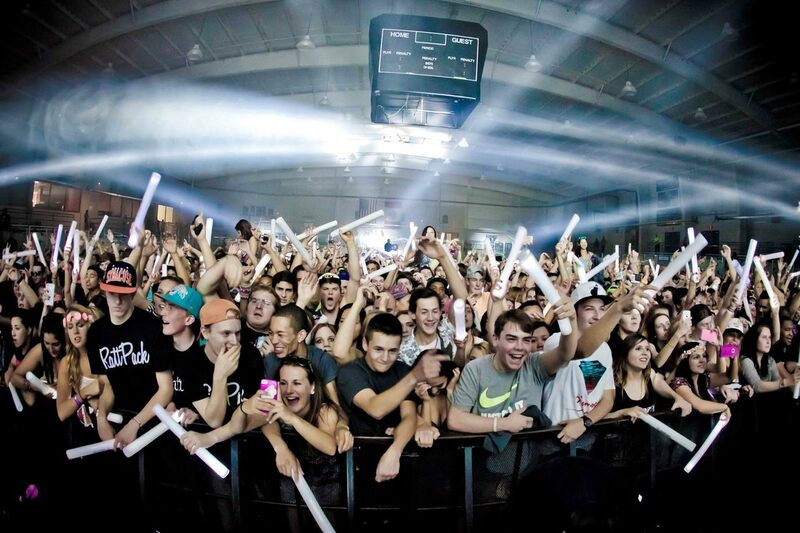 The facility is home to lots of hockey, but also hosts a wide range of other events all year long. 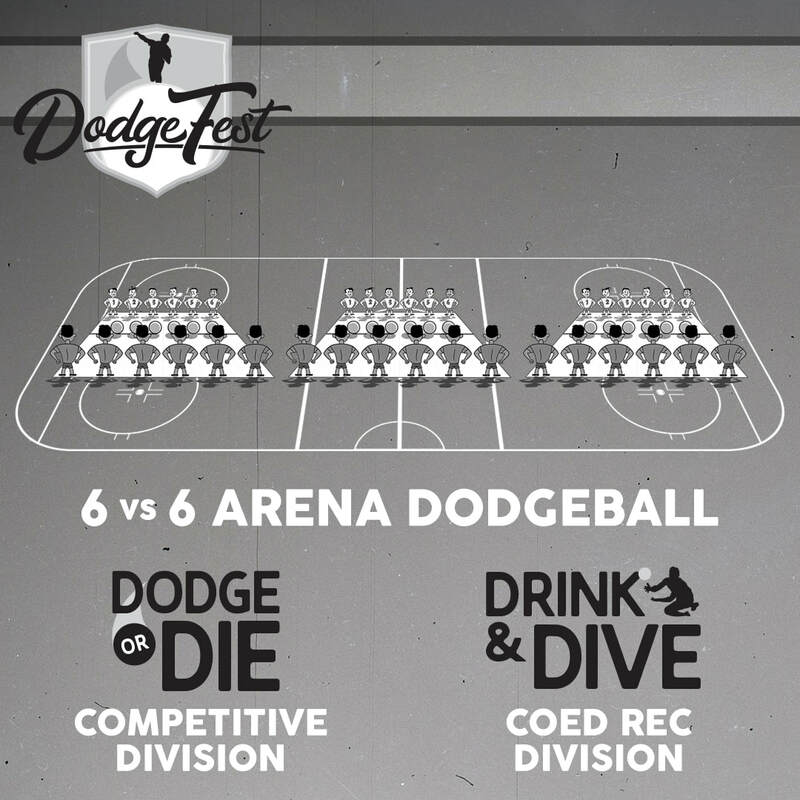 All games for Dodge Fest will take place inside the feature arena at the Iceplex, which has bleacher seating for 3,000 spectators, as well as direct access, and great views from the Tap Room. 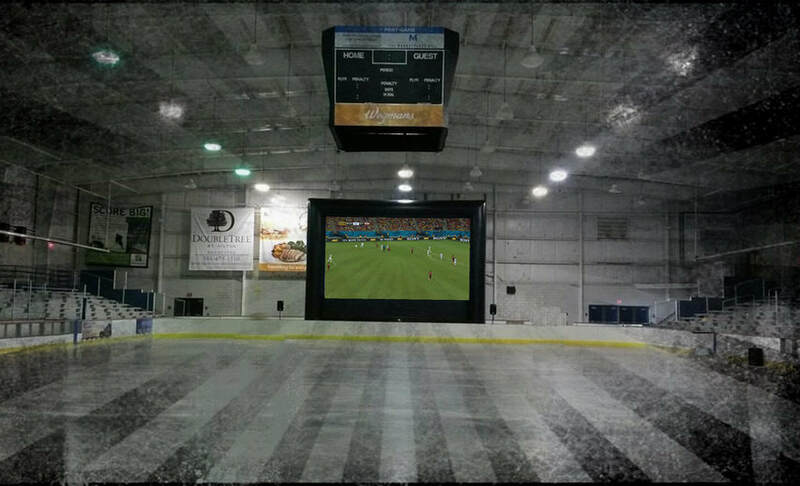 The ice will be removed for this event, and the concrete rink floor will be set up with three dodgeball courts that are 85 feet in length, and 35 feet in width. Three games will take place side by side (by side) during the course of the event. The end of the rink will be set up as a party deck, with seating, quick access to the restaurant & bar, a 40 foot video screen, music and other fun games. Food and beverage are available on site, so all players and spectators can hang out at Dodge Fest from start to finish!